From the email... Brad Goldberg is a mensch of the first order. Harvard Law School has announced that Bradley L. Goldberg, founder and president of the Animal Welfare Trust, has made a generous gift to endow the Animal Advocacy Program at Harvard Law School. By funding curriculum development, experiential learning, scholarly gatherings and exchanges, forums for discussion and debate, and the establishment of an Academic Fellows program, this gift will launch a new level of activity in animal law at the Law School and will enable faculty members, students, and practitioners to build innovative bridges between theory and practice. Over the past three decades, Harvard Law School has broadened its curriculum to include courses, clinical programs and research centers that address the changing shape of law and society. The Law School launched the study of animal rights more than fourteen years ago, at a time when it was still an emerging field of law. In June 2000, Pearson Television made a gift, in honor of game show host and animal rights activist Bob Barker, to establish the Bob Barker Endowment Fund for the Study of Animal Rights at HLS. The Goldberg gift will enable the Law School to create and implement an expanded animal law curriculum and facilitate new partnerships among academics, activists and students. For example, students will have a greater opportunity to gain valuable hands-on experience by assisting an animal protection group with an investigation or other project, or undertaking their own individual research and writing projects. “Animals are important members of society, and the law has a significant impact on how they are treated, ” said HLS Professor Kristen A. Stilt, whose interest in animal law stems from her work on Islamic law and law in contemporary Muslim societies. “This gift will allow us to focus the attention of academics, policy makers, practitioners, and students on the most pressing problems facing animals today. With new collaborations generating new ideas, what we can accomplish is tremendous,” she added. Stilt joined the Law School faculty in 2014 and will direct the Animal Advocacy Program. 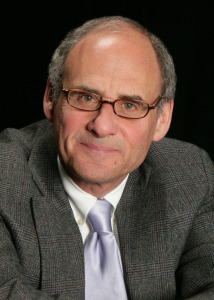 In addition to the organization he founded, Goldberg serves as chair of Humane Education Advocates Reaching Teachers (HEART), an organization with a mission of teaching compassion and respect toward all living beings and the environment; as an officer of the New York Coalition for Healthy School Food; as a trustee of the Wildlife Conservation Society; and as a trustee of the Cultural Institutions Retirement System. In 2010, Goldberg helped establish the Animal Studies Initiative at NYU. The Initiative offers an interdisciplinary undergraduate Minor in Animal Studies (one of the first in the country), supports graduate and post-doctoral research and teaching, and presents a program of public lectures, conferences, and workshops. During his distinguished 35-year career in investment management, Goldberg served as an executive vice president, portfolio manager, and chair of the asset allocation committee at Jennison Associates, a subsidiary of Prudential Financial. Welcome news indeed. Thank you Mr. Goldberg.